Vegan Show & Tell: Health: The Dirt, or rather, The Sugar. Remember my post about the arguments against Agave Nectar? Well turns out that it is no better, AND no worse than table sugar, or corn syrup (not to be confused with HIGH FRUCTOSE corn syrup, more on that at the end of this post) as far as empty calories- calories with no nutritional value go. Interestingly enough, my intuitive apprehension of the study, with Brown Rice Syrup's funding the "harms of Agave" research was in fact confirmed. Though Agave was no better or worse than Table Sugar or plain cooking Corn Syrup, Brown Rice Syrup has actually slightly less nutritional value than Agave Nectar and Regular Sugar. So what sweetener, SHOULD we be using? According to the latest research (up to date), Date Sugar is the best, most nutritious way to sweeten your foods. That is because Date sugar is whole dried dates pulverized into a powder, and the only sweetener in the list above that is a whole food. Molasses comes in close second. Date Sugar however also contains a lot of fiber (like all whole fruit and veggie foods, and is great for you, your digestion, and to prevent diverticulitis down the road), but it does have a thickening effect. Because of this, date sugar is great for baking, and smoothies, though some people may not like mixing into their teas (unless you like drinking thick tea). Also interesting in the sugar segment of this Research DVD, was the results of several no-calorie, sweeteners to see if any were harmless (though containing no nutrition, so not doing any good for you either). 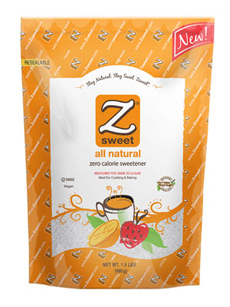 It turns out that just about all of the artificial sweeteners (including equal, sweet n' low, and yes even splenda) were of course harmful; however, erythritol ("Z Sweet"- which is also found naturally in pears, melons and grapes) was found to be harmless (not bad for you, but also not good for you). Perhaps a better sweetener for your tea? Stevia, (for those of you wondering) has grown in recent popularity and is still being heavily researched. It is inconclusive whether it is harmful or harmless (though it is certain that it isn't helpful, or necessarily good for you), perhaps we'll know next year. And finally, what I found most disturbing and disgusting, was the fact that High Fructose Corn Syrup (which we already know is one of the evilest of sweeteners), has a reliable tendency to be contaminated with MERCURY! Out of 50 various food and beverage products tested, all containing HFCS, 30% were contaminated with Mercury, and of those, 60% of the dairy products tested were contaminated. While the maxium EPA daily dose of mercury is 5.5 micrograms, women of child baring age can consume HFCS products containing 28.5 micrograms on a DAILY basis. Remember how I said that I feel like High Fructose Corn Syrup is "okay" in moderation? I take that back, I by all means didn't realize the severity of HFCS's toxicity. ICK. yikes! Thanks for the info! Awhile ago I went to visit my therapist (yes, I said it) and she always makes us tea. One day she brings in this Agave sweetner and I ask about it. Her words exactly were, "I bought it because I thought it would be a healthier sweetner. Then I did some research and found out that was a load of bullsh*t. Next time I'll have honey for our tea as it's the most natual." - so there you have it. I always use honey for my tea. I'm an old fashioned girl like that. In terms of coffee... well I stick to raw sugar. Lately I've been thinking I should start to gradually cut back on sugar. Today as a first step I only used half a tablespoon of brown sugar in my oatmeal.... it wasn't as fun to eat but heck! It was still pretty good!